David Jean, the culinary arts teacher at ARHS, has been making lunches for school staff and teachers for nine years now. 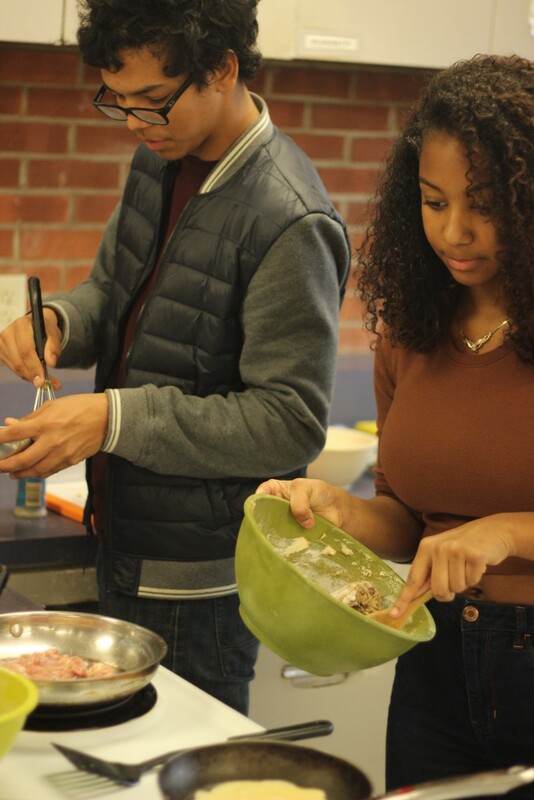 The lunches are offered every month or so by Mr. Jean’s C period classes, who serve the delicious dishes to teachers during all three lunches. Mr. Jean sends out an all-staff email a day or two before his class begins offering specials for lunch. Teachers line up to buy them on those days, happy to have a break from bringing home lunches or eating regular school lunches. Because his offerings are more gourmet, including pizza selections like white pies with baby greens; risotto, and mozzarella; veggie pizzas with zucchini; and barbecued bacon chicken ranch, he always sells a lot of food. Each lunch costs anywhere from four to six dollars, which for Tracey McCormick, an English teacher, is perfect. “Making my own lunch, for some reason, is one of the most tedious things I [have to] do,” she said. Ms. McCormick’s favorite lunch so far has been the white pizza with arugula, and she also enjoys the curry soups. The lunches have all had positive feedback, and teachers are “very happy,” according to Mr. Jean. 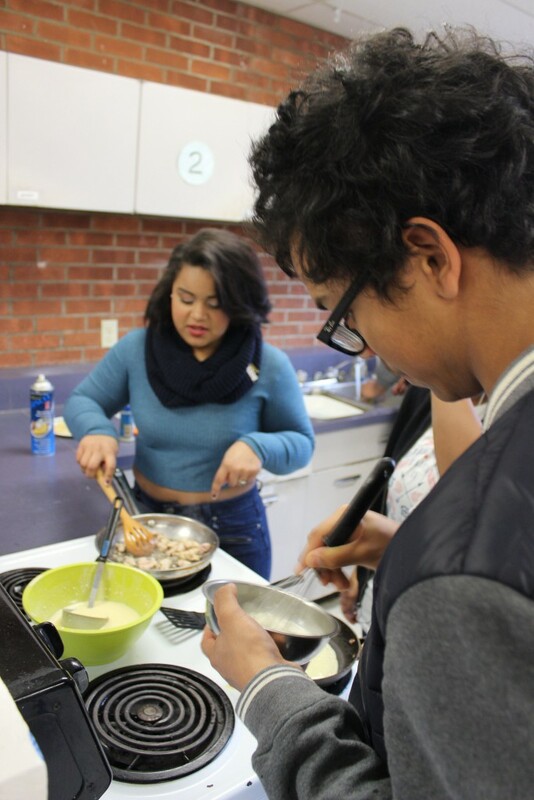 Mr. Jean’s main purpose for creating this specialized lunch program was to bring restaurant training into the school so students who might want a future in cooking could practice in a restaurant environment. Jess GerberDolan is in the C period Culinary Arts class that helps with the making and serving of the lunches. GerberDolan recalls the apple dumplings being “a huge success” among the teachers. 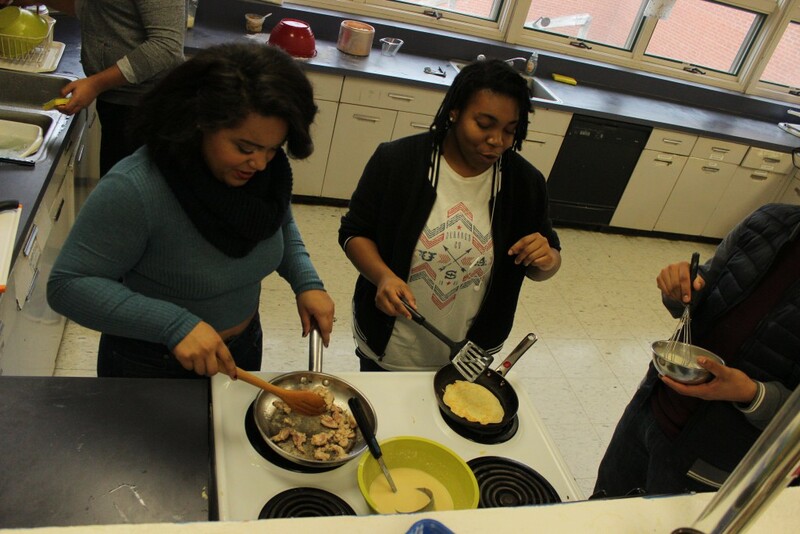 GerberDolan and other students in her class learn new cooking techniques. While prepping the lunches, they also learn about hospitality. She has taken part in the program for two years now. “I didn’t know how to make basic mac and cheese, except from a box, and now I’m using chicken stock to make some mac and cheese,” GerberDolan said. Overall, the teacher and staff lunch program continues to be a success. “Pretty much, I love it. I love David Jean. David Jean rocks,” said Ms. McCormick.